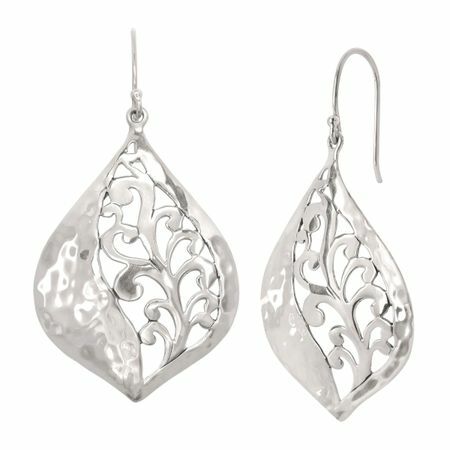 Vines of sterling silver cascade down one side of these drop earrings while the other features a hammered motif, making these pieces perfect for any occasion. This piece is part of our Balinese Collection, inspired by the beauty of Southeast Asia and handmade in Bali using ancient silversmith techniques. Earrings measure 2 1/4 by 1 1/8 inches and feature French wire back findings.